Is it spring or winter I don't think Mother Nature knows for sure in Utah. It happens almost every year here. She just gets so confused as to what season it is so why not have two at once. I am just not so sure the flowers are appreciating it. But I love the fact that the first flowers to bloom this year are the last flowers my mother in law was given by us. 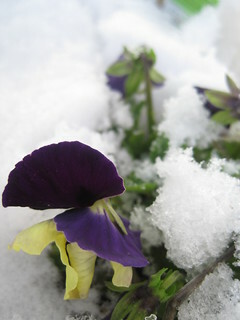 She loved pansies my first post of this blog was dedicated to her and pansies. 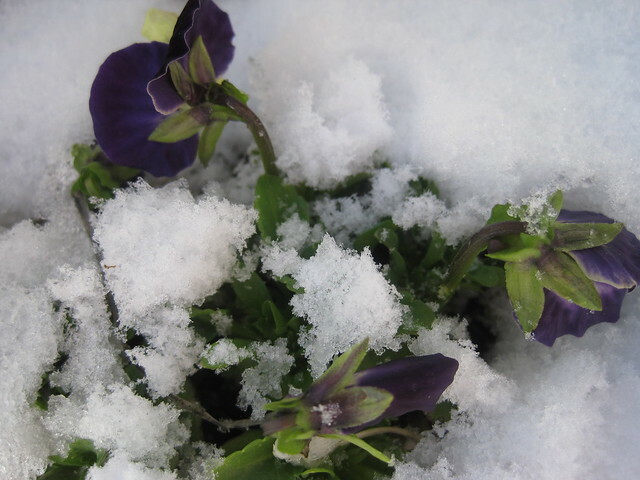 So she is just reminding all of us that she is still here in spirit no matter what the trials the beauty of love concurs all and we can be just as clean as fresh new snow. Such lovely images to be setting next to one another.